Found one file extension association related to Dynamic-CD and 1 file format developed specifically for use with Dynamic-CD. 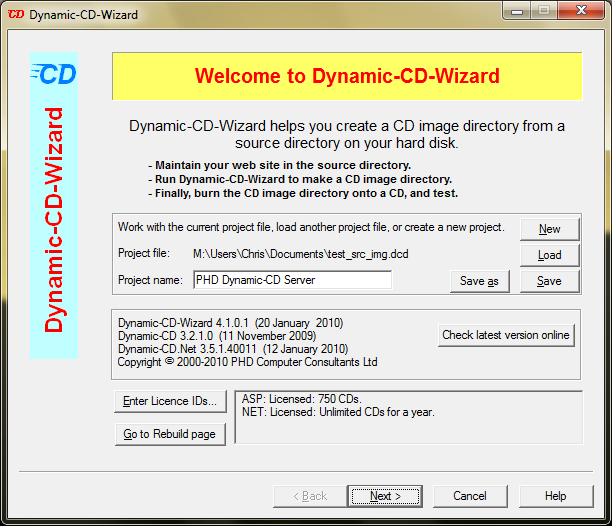 Dynamic-CD is web server that can be installed with your web site on CD, DVD, USB stick or laptop. Give out your web site - on CD, DVD, USB stick or laptop. Forget connection hassles and slow download speeds. Let your sales staff take your web site with them on the move. CDs are a great direct marking tool. Give your customers your web site at their finger tips. If you need more information please contact the developers of Dynamic-CD (phdcc), or check out their product website.